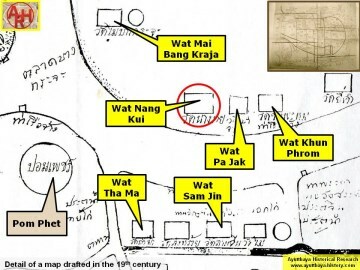 south Wat Mai Bang Kaja. 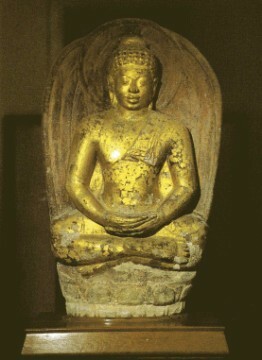 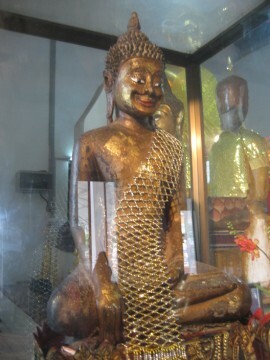 and Luang Pho Yim statue. 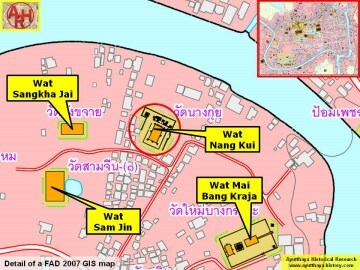 Historical data about the monastery is unknown. 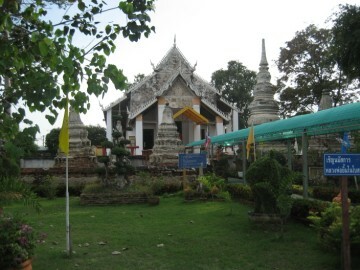 From the temple you have "nearly a straight view on Pom Phet or the Diamond Fort. 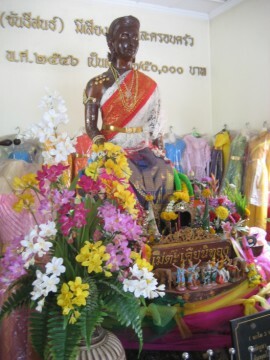 the female spirit Nang Takhian at par as a banana tree houses the spirit Nang Tani. 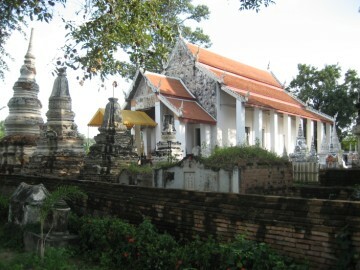 Takhian Thong, containing the tree’s spirit, was positioned on top of the old stump. 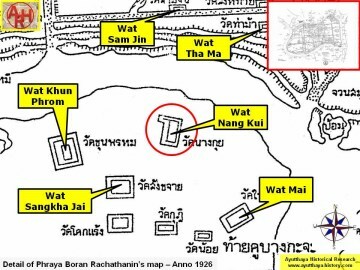 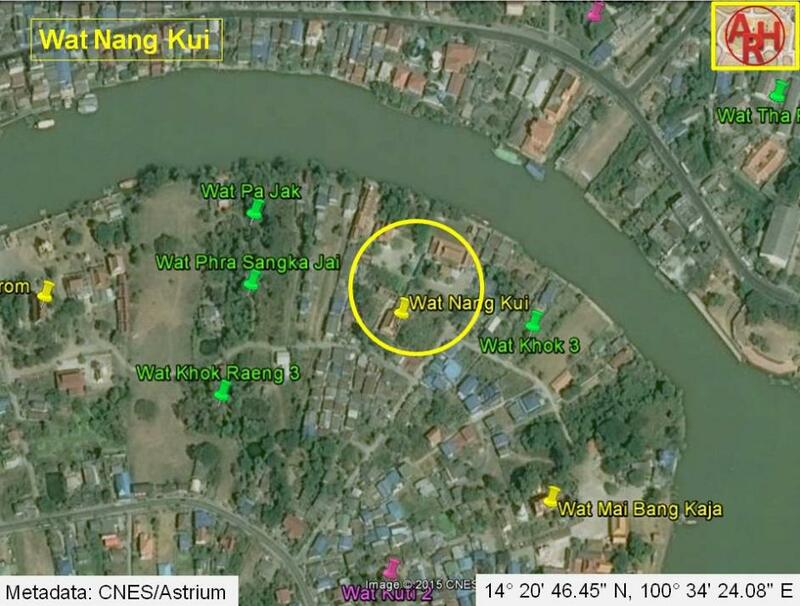 Wat Nang Kui is located in Geo Coord: 14° 20' 46.45" N, 100° 34' 24.08" E.